Other than clay arts, my sister created something out of colored papers this time! 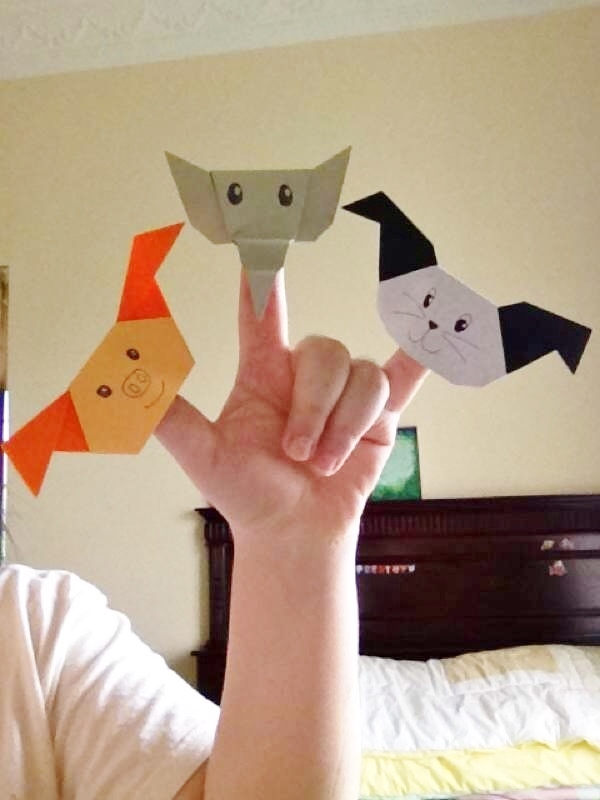 She made paper puppets and sent me these pictures to share with me. As you can see, she made a rabbit, a cat, an elephant, a pig and a dog. I really like each of animals’ face. The eyes and whiskers are very cute. 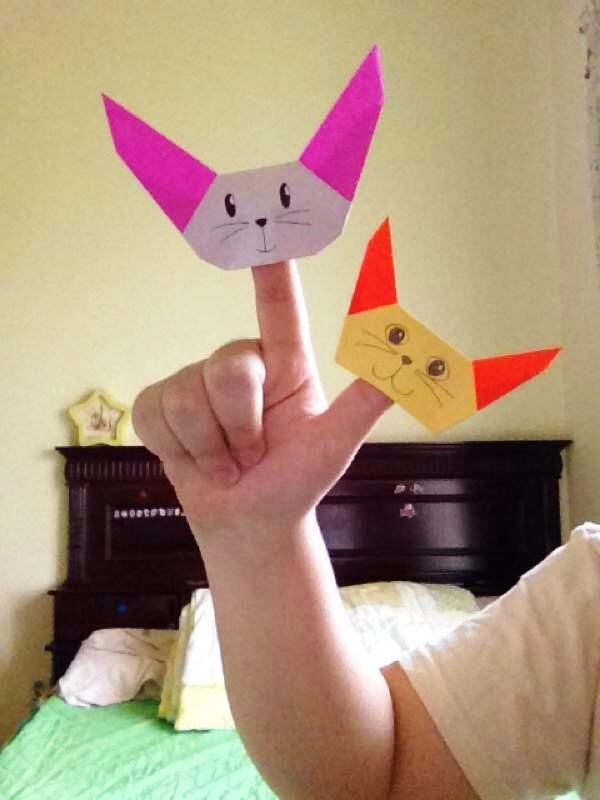 She told me that put them in her fingers and took pictures just to show me.